The project-list at Furniture Consulting AB is impressive, both in terms of customers and geographic spread. On the customer side we find IKEA, Fastec, Ikano, LKAB and a row of other big name companies. During the last 15 years the company has gained the trust of IKEA to construct a lot of their new constructions all around the world. It’s been about big projects and difficult procurements. – Sure, IKEA is good at business, which is also why it’s going so well for them. We have established a good relationship and co-operation with them, and we have been fortunate to collaborate with them when they established their market in Thailand. In which we also got the trust to build Wine Connects latest warehouse. They are the leading wine-company within that country, says Jörgen Åslin one of Furniture Consultings tender engineers. Out of the company’s 80 employees, there are five that works with calculations and offers. Jörgen is (at the time) the only one using Bidcon. – Yes, the construction industry is quite traditional, and that is why there is more companies like us that still uses Excel, paper and pen and schematics when doing estimates. I have worked within the VVS industry prior to this and I believe that the difference between the industries is quite large. It might have to do with that the electric and VVS industry has been one step ahead when it comes to product-databases with RSK-numbers. – I am what you would call a ‘guniea pig’ at the company. The thought is that I will test-drive Bidcon and if it all goes well we will establish a server solution so that we all can work towards the same database of calculations. After a few months into the project Jörgen knows that Bidcon is the right way to go. – Speed and reliability is the two most important aspects in my business. I must be able to quickly get a hold of the right numbers within my calculations and feel that I can rely on that they are correct. This is something that I feel I can do with Bidcon. Bidcon’s interface with folders, finished building component types, and the connection to a product-database that is continuously updated makes it easy for Jörgen to construct an estimated budget and work on the details. – It’s so fast! It’s hard to specify how much time we are saving because of the difference in the assignments, but in total we save huge amount of time. – Additionally it provides a security, knowing that everything is where it’s supposed to, that nothing is falling between the cracks. For example when you have to alter the calculations in several different places – then I know that Bidcon makes sure that nothing goes amiss. I can always alter some details, even if I have current price lists, I might get a product for a cheaper price elsewhere and then I adjust that within the program. Everything is not possible to automate. Experience is important, for example you cannot learn by reading a list when alterations and additions is needed to be made. – An example could be if you are going to calculate the cost of a roof. When I start the project I probably know that I need to add electrics and VVS modules to complete the project. That means that I might know at the start of the project that electrics and VVS modules should be added, which will mean more adjustments and more hours spent. However, when I alter those posts, I can save just that calculation and benefit from it the next time we are doing a similar job. Furniture Consulting has over time established their own database with calculation spreadsheets that is especially made for the company’s customers and way of work. The connection to the industry database and the price lists ensures that these calculations are always up to date. – The customer will not notice any difference. They get an accurate offer. All the time we save and the fact that we won’t make mistakes with the calculations generates more profit for the company. 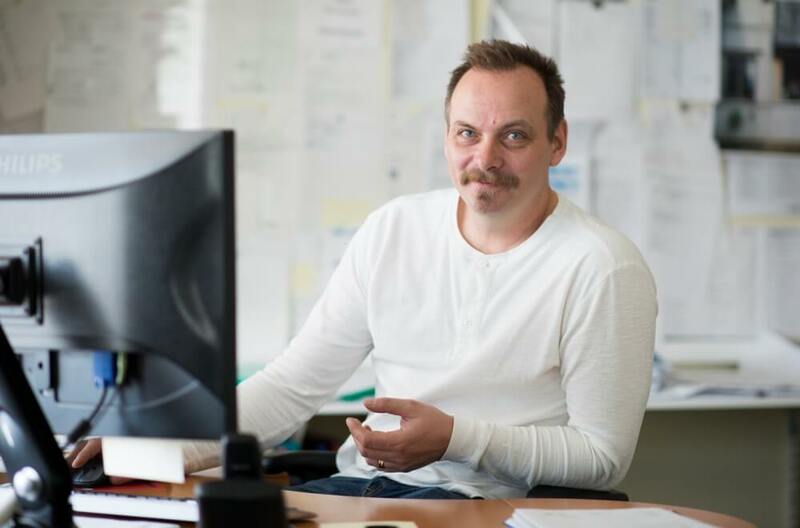 To start working with a new software or in a new way comes with a startup period, which in Jörgens case lasted for about three weeks. – However I’ve gotten great help from the Elecosoft support. You can call how many times you want and no question is too stupid, so it’s been working out great. – After these weeks I’ve discovered that there is another level. You constantly discover new ways to work smarter if you let Bidcon do the job. It is for example smooth that you can present an offer after the calculation is done and then send the order directly from the program. The connection to other Elecosoft-programs is also something that Jörgen appreciates. – We are using Powerproject to plan labor input in the next phase of the project. Due to the possibility of importing all data from Bidcon to Powerproject I avoid doubling the workload and got the knowledge that all the information is correct. Jörgen ends with saying that Bidcon runs very, very smooth.